Join Anyen Rinpoche as he explains the relationship between health, illness and healing, and the impact of meditation practice on the body and mind. An empowerment is a formal ceremony through which the blessings of the lama and lineage masters are conferred. the benefit of these blessings are many-fold. First, they help us to wake up from our long sleep of delusion and ignorance. Additionally, an empowerment is a ceremony that both ripens or prepares us to do a specific practice or forge and energetic connection to that practice. Many Tantric practices are said to be "self-secret", meaning that until we receive empowerment, or authorization to practice them, we will struggle to have the proper experience of that particular practice. Medicine Buddha practice is a way to bring healing energy to ourselves and to beings suffering everywhere. By focusing ourselves completely on this practice, not only do we increase our love, compassion and ability to benefit others, but we also touch others directly through the power of this sadhana--which has healed countless beings since it was composed. 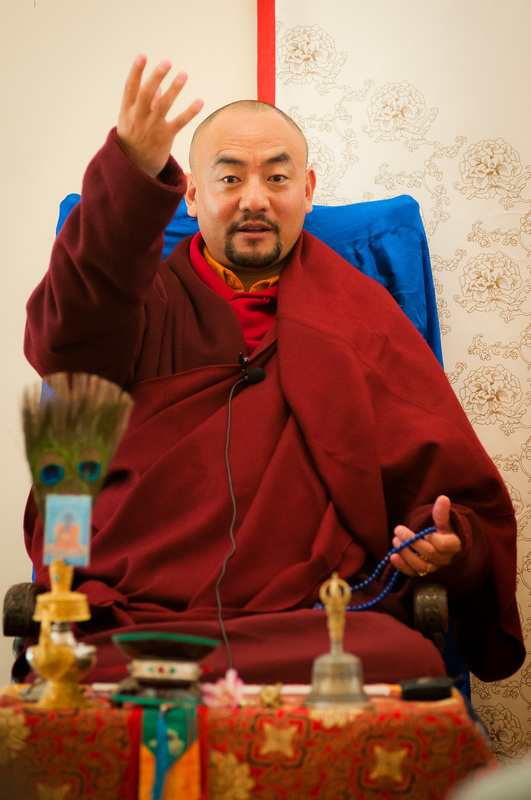 Anyen Rinpoche continues a tradition begun long ago by his Lama, Tsara Dharmakirti Rinpoche, who realized this practice and used it to heal not only himself, but countless others from mental and physical illnesses. We are happy to finally be able to have the opportunity to share this practice and tradition with all who attend! Anyone with a sincere wish to heal or be healed may attend this prayer gathering. To attend the retreat, the only essential quality needed by a practitioner is a compassionate aspiration for yourself and others. Some people who may be interested in attending are: Dharma practitioners, doctors, nurses, healing practitioners, people suffering from an illness, people whose family or friends are suffering from an illness, or anyone else who just wants to do something to reach out to others who are suffering. If you would like to participate in the retreat, it is essential to attend the empowerment on Friday night.